Inside: How to avoid your child having the summer slide in all areas. Avoid summer setback in reading, writing, math, and more. The term summer setback is used to describe when the child either does not make progress academically, or more commonly, loses progress academically through the summer. When school starts back up, your child won’t necessarily be able to continue on from where he left off this school year. You can do things to help avoid this slide. Summer setback is a real thing. As my children have gotten older, I have learned summer setback can apply to more than just reading skills, too. Other academic skills can slip, but so can skills like music skills, athletic skills, etc. For educational skills, have some learning time each day that can help keep those skills at work while still allowing for a break if you want a break. Summer setback is a real thing. Teachers all around will tell you to read, read, and read some more to help avoid summer setback. Our eBook Babes, Tots, and Kids covers all educational skills each week and can help you keep your child up to speed while still having fun. SSR: Something we do is Sustained Silent Reading (SSR) each day. This helps keep reading skills going on. Follow the link to learn more on this. Limit Easy Outs: You can also immensely help with reading skills if your child is a reader by limiting things like television and video games. When your child doesn’t have those things to turn to, reading can be an acceptable choice for how to spend time. Have Reading Goals: Join your local library’s summer reading program (see Summer Reading Programs). Create a reading program of your own for the neighborhood. Ask the reading specialist at your child’s school for ideas in helping your child through the summer–the one at our school will give us packets of information and activities geared toward the child’s level. Make a goal with your child to read so many minutes a day or so many books or pages for the summer with a prize at the end. Find Books of Interest: There are so many interesting books out there. Your child will be more likely to read if he has books he is interested in. There are tons of book lists floating around the internet. You can search Amazon for books and read reviews. You can poll social media for books. I put favorites on Pinterest: I have Chapter Books for Boys and Chapter Books for Girls. Read to Your Child: I know that summer has late nights and crazy schedules. Think ahead to make sure your child is read to each day by you. It is beneficial to read even to children who are avid readers themselves. Have a consistent time each day to read to your child. If bedtime is crazy, see if you can get it in another part of your day. If you know you will be out late, have some books on tape/CD/mp3 to listen to in the car on the drive home. You can make it work if you want to. Visit the Library: Going to the library will help your child be more excited about choosing a book and reading it. Have Your Child Read Aloud: It is also very good for your child to read out loud each day. It helps with fluency. 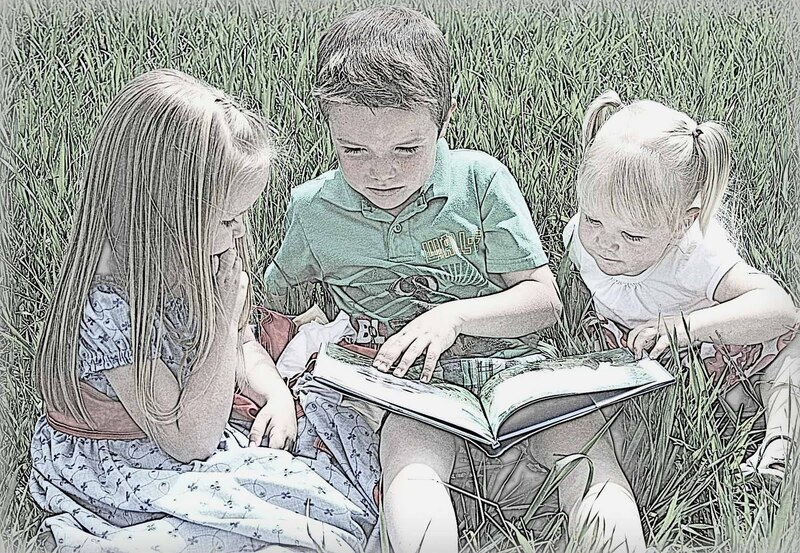 Have older children read to younger children. Have children take turns reading at family scripture study. Get some readers for younger children to read to you each day. Have a time of day your child reads to you. With my girls, I have always had them read a book to me while I do their hair. See Preventing (or minimizing) Summer Setback for more on reading and summer setback. I remember going back after summer break, even in college, and having my handwriting be a little rusty and my muscles in my hand sore as I got back in the groove of writing at school. Write Letters: Have your child write and mail letters the old fashioned way. Do Crafts: Doing crafts that involve scissors and other fine motor work will help keep those muscles ready for action. We have a lot of fine motor ideas in our eBook Babes, Tots, and Kids. Keep a Journal: Encourage your child to keep a journal. If your child needs motivation, get a journal you can write back and forth to each other in. Write Stories: Exercise the imagination and the hand by writing stories. Worksheets: There are a lot of writing worksheet exercises available online if you have a younger child who isn’t ready for journal writing or writing stories. The other day, a friend of mine who is a piano teacher commented that she doesn’t view piano as something you can take off for the summer. She said you should take it year round (though you do have breaks for various things). When I was growing up, I had summers off from my music lessons so I had never considered anything different. It makes sense; if you don’t keep up your piano work, your will at the least not progress (which I am sure is fine for some people and worth having the break). You might possibly regress and forget things. You will definitely lose finger strength if you don’t play. Many teachers will teach through the summer. If yours doesn’t, or if you really want the summer off, try purchasing a piano book of fun songs that is at or just below your child’s level and have her learn a new song each week. Your child might be involved in a sport that has the summer off. You might have the option to take the summer off or continue through the summer. There are some things to consider when deciding what to do. One is to remember they are children, not professional athletes. If you and/or your child feel like they want/need time off, do it. You do not want them to burn out and hate the sport altogether. Burn out happens quite often. You want them to still have the chance to be kids. Consider how big of a deal it will be to take a break. What will be lost? Skills? Strength? Endurance? Children make these things up quickly. 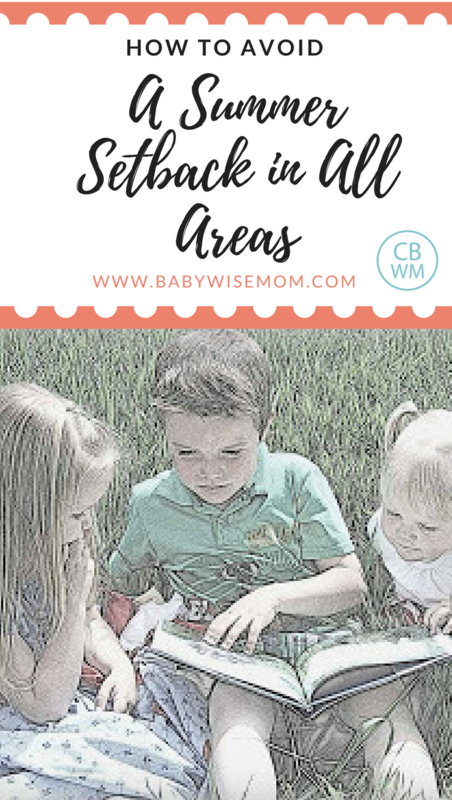 You can do some backyard playing with your child at home to help with skills. They also can keep a lot of those things by doing other activities and staying active through the summer, which most children naturally do if given the opportunity. When my children take a break, I always tell them that when they go back, they won’t be able to run as far or as fast (or whatever skill is pertinent to the situation) when they start back up as they did when they took the break. I tell them they will spend some time building that back up but that with work they will get there. Your child might just love the sport to death and not want to take a break. This is how McKenna is with gymnastics. She does not want to take a break from gymnastics during the summer. A whole lot of people take summer off and that is totally great. You might just cut back rather than take a break. Brayden is on swim team. Our swim team does short course and long course, so that means swim team is year round. They get a week off for spring break, they get two weeks off in the summer, and they get a few holidays off here and there, and that is it. For summer, Brayden will cut back on how often he goes to swim team rather than take it off altogether. Hi, thank you for all the excellent advice on your blog. I have taught piano "on the side" for a number of years, and I would like to comment on extended breaks from piano. After my second child was born, I pretty much gave up on my own piano practice for an extended period of time. When I desired to return to playing 4 (!) years later, I expected to see enormous setback. Well, in some areas I did. My fingers and wrists were definitely weaker and less flexible. But I was surprised to see that the extended break had caused me to grow in my musical abilities — i.e. to make a piece sound "musical" rather than simply "mechanical", which is a pitfall of excessive practice. So while consistent practice is definitely important during the year, a long summer break can definitely have benefits. Something to think about (and I have recently read research suggesting such a phenomenon may apply to academic areas as well — see learningandthebrain.com for a summary of the new book How We Learn). That is very interesting! Thank you for sharing that. Definitely good things to think about. I would guess moderation is a great way to go–don't do "nothing" but definitely take a break. And if you are going to have just one area of focus, do it on the reading. What I do is put them on an iPod and then okay it in the room without the books until they can be trusted with the book. If she looks at the book at other times, she will s enjoy just listening to it. You could also do it as SSR time (see my post on that). Then you are with her and can monitor it. Or you csn have her look at books at the counter or table while you make dinner.